The Dong Nai People's Committee said it plans to go ahead with housing construction on land reclaimed from the Dong Nai River despite a warning from the Viet Nam River Network that it would harm the river. The Ha Noi-based NGO, which consists of hydrologists and ecologists, said reclaiming such a large area would critically interfere with the river's hydrology and ecology as well as the local economy and society, and called for cancelling the project. But Tran Dinh Minh, deputy head of the province's Agriculture and Rural Development, was quoted as saying by Tuoi Tre (Youth) newspaper, "Each scientist has a different view but we recognise that the project is not a big deal because the reclamation will not change water flow in the Dong Nai." In 2009 the province approved a report titled "Dong Nai River's water flow impact assessment from Hoa An to Ghenh bridge" done by the Irrigation University's Irrigation and Environment Institute. It said reclaiming land 100m into the river from shore would not change the water flow or have any adverse impact. Based on the report and assessment of environmental impacts by the province Department of Natural Resources and Environment (DoNRE), authorities approved housing development on 8.4ha of land near and reclaimed from the Dong Nai by the Toan Thinh Phat Architect – Investment Joint Stock Company. 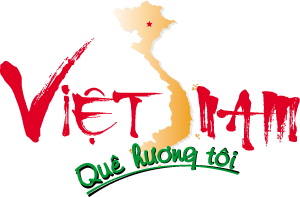 "There is no reason for us to stop the project," Le Viet Hung, director of DoNRE, said. "We have done everything based on regulations. If no investor wants the project, the province will do it. Nguyen Thanh Tri, deputy chairman of the province People's Committee, said: "The People's Committee has issued a licence for the project and we still think there is no problem with the project. Local residents feared wrongly that the whole river was going to be filled up, he said. Ngo Phuoc Sang, owner of Cay Bang coffee shop in the city, asked: "Bien Hoa city has a lot of land. Why do local authorities approve reclaiming land from the river for construction?" Toan Thinh Phat company claimed to have visited Quyet Thang Ward – the site of the project - to publicly announce plans for the work and collect opinions from the local community. "Though we have done everything as regulated we admit many residents do not know about the project," Huynh Phu Kiet, the company's chairman, said. "We will organise more meetings with the local community to inform about the project." Before starting the work, the company had invited leading experts from the Southern Irrigation Master Planning Institute, Environmental Protection Tropical Technology Institute, and HCM City Architecture Association to express objections against the work if they have any, he said. "We have strictly followed all regulations and got approval from local authorities. If the authorities tell us to temporarily stop construction, we will obey." Dr Dao Trong Tu, a former deputy general secretary of the Mekong River Commission and advisor to the Viet Nam River Network, said the Dong Nai is an inter-provincial river and millions of people depend on its waters for a living. "But the province's environmental-impact assessment has nothing from experts from the Dong Nai River Commission and other affected provinces." The construction would impact the flooding by the river, and so the project must follow the Dyke Law, he said. 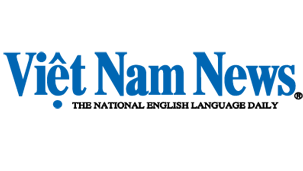 Lam Thi Thu Suu, director of the Social Development Research Centre and co-ordinator of the VRN, pointed out that the project violated the Government's Decree No 201 which required the Ministry of Natural Resource and Environment to oversee all activities related to inter-provincial rivers. But the ministry has said it is in the dark about the project. Besides, she explained that a province People's Committee could only approve construction on or near rivers that flowed wholly within the province. Suu also mentioned the Water Natural Resource law, saying it law prohibits any construction that can block water flow in a channel, lake, stream or river. "The projects will reclaim up to 7.7 hectares in the river and surely block and change water flow," she said. Suu pointed out that only 20 households in Quyet Thang Ward had been invited by the company to discuss the project and the province's environmental-impact assessment lacked official replies from organisations that objected to it.